I’ve been very busy, moving stuff, shoving stuff, cramming stuff, tossing stuff, organizing stuff, and just about every word you can think of that describes putting a house back in order after it’s turned upside down, shook really hard, and set up right again. I’ve also been trying to get ready for my daughter and grand daughter to move in with me by clearing out two rooms and at the same time getting the house buttoned up for winter with plastic and quilts on the windows. Just when I had made lots of progress and everything is at least functional…. guess what? It’s going to be disorganized again…. today. Awww, gee whiz, you mean I gotta move all this stuff AGAIN? Yup, it’s gotta be done so the electrician can put in the new overhead lights? The lights I currently have don’t work anymore. They quit working one by one over the last few years. It’s finally time to get them replaced. Well, I have been saving change in jars for three or four years to pay for the lights ya know. But gosh, I sure am tired of moving stuff around. My daughter thinks I’m crazy for wanting everything in the house to be on wheels. This includes beds, tables, dressers, cabinets….. absolutely everything with wheels. Now she understands why. I think the “everything in the house on wheels project” will be put on my winter to do list. Ok, with all the activity going on, I still managed to work on a quilt. This one. I’m much farther along than this. Actually, I’m more than half way through the first pass on this one. It’s just way too dark in the studio to take another picture right now. Yes, the lines are crooked. It’s deliberate. 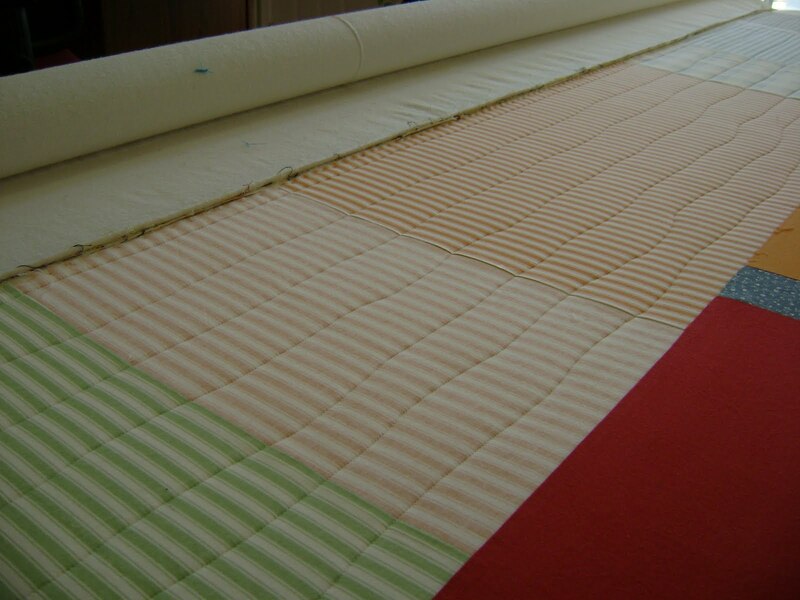 The owner showed me a photo of how he wanted it quilted. It’s an artist thing. Well heck, nothing will get moved around until I do it so I best get started. Type talking on the computer doesn’t get the work done. The electrician is supposed to be here at 8:00 am and be done by the end of the day. We shall see….. 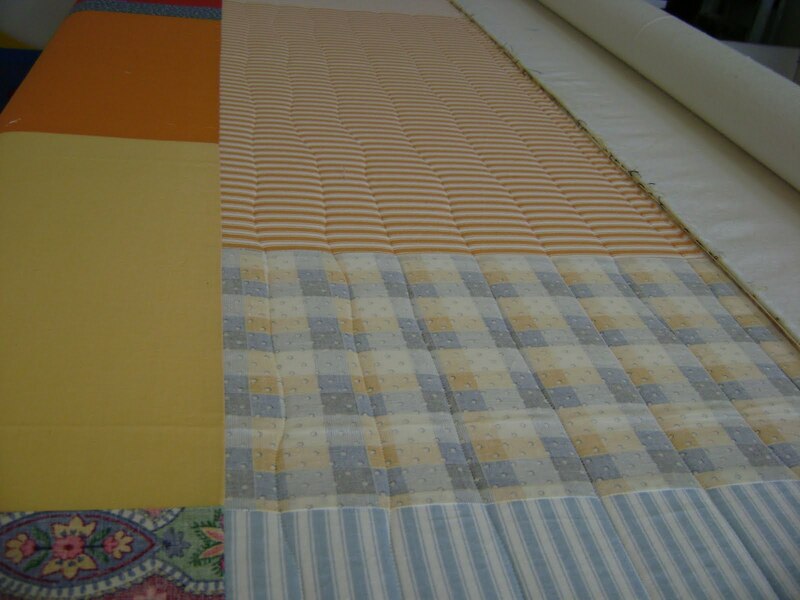 This entry was posted on November 14, 2009 by Anita in Customer quilts 2009, QUILTS - CUSTOMER.